A Chinese national was arrested after boarding a flight at Suvarnabhumi Airport for allegedly stealing Bt4,210 (S$177) and 1,710 Hong Kong dollars (S$290.50) from a Hong Kong tourist. Tourist police were alerted to the crime 2pm Wednesday after Fai Kwong Ng reported that his cash had been stolen. The police boarded the plane near Gate E8 shortly before take off and arrested Xu Xueliang. A search revealed the cash wrapped in toilet paper in the suspect's right hand. Xu agreed to return the cash to Fai who continued his journey but Xu was ordered to disembark and taken to Suvarnabhumi police station to face charges. Police checked Xu's travel records and discovered that he often flew but always remained in the transit area rather than entering the destination countries. 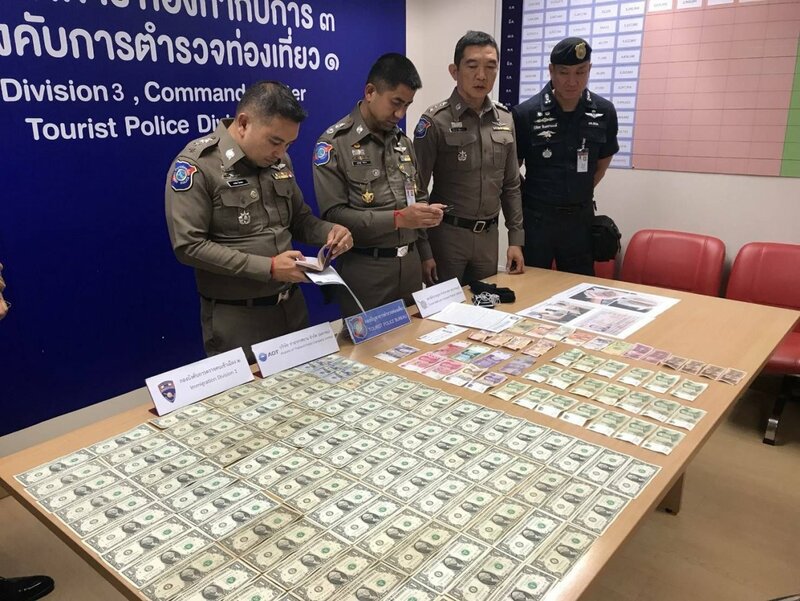 Police also found several one-dollar banknotes on him and surmised that he would use these to replace the stolen cash and thus stop his victims from becoming aware of the theft while they were still in flight.